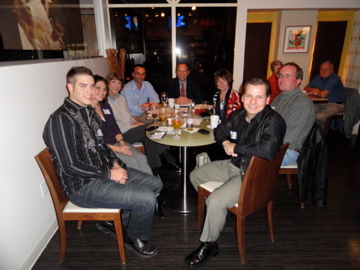 The Evening Hearing Group (was Young Hearing Group) met for the first time on the night of December 15, 2010 at Café Palm in Downtown Sarasota drawing ten people in search of support for their hearing loss. The Rap Session focused on how the new support group could be structured to best cater to each individual’s needs. The consensus was to bring in expert speakers, share information and experiences, plus identify health care resources where needed, that could lead to better ways of dealing with one’s loss. 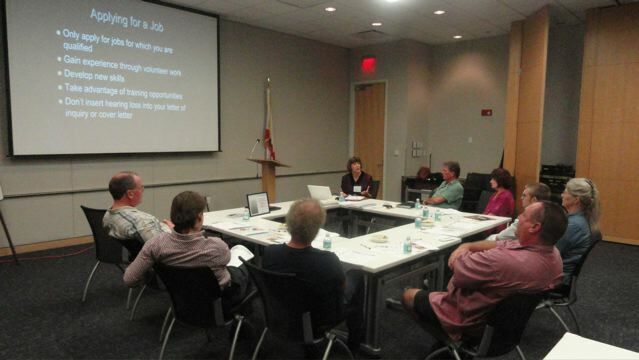 Since then, each meeting includes time to network, an expert speaker and a rap session to address specific needs. 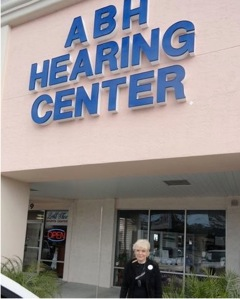 Shown in the photo: Alexander Boakes, Head of the YHG (Front, right) and Ed Ogiba, President of the Hearing Loss Association of Sarasota (Back, middle). COMPLIMENTARY REFRESHMENTS INCLUDING WINE & CHEESE!! Please RSVP to Alex Boakes at alexboakes@msn.com if you would like to attend to ensure we have speaker materials for you. Sessions are free and open to anyone in the community. The next EHG meeting is scheduled for August 21st (6pm to 7:30pm). Third Thursday of the month, every quarter. Upcoming topics to be announced. Open to Community. First year free memberships for Veterans.